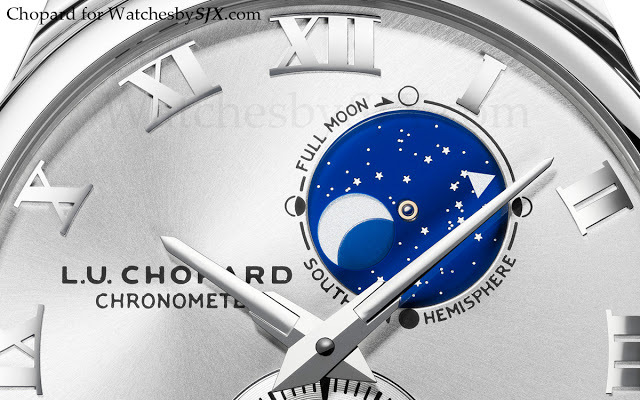 Chopard presented a pair of LUC moon phase watches at Baselworld 2012. 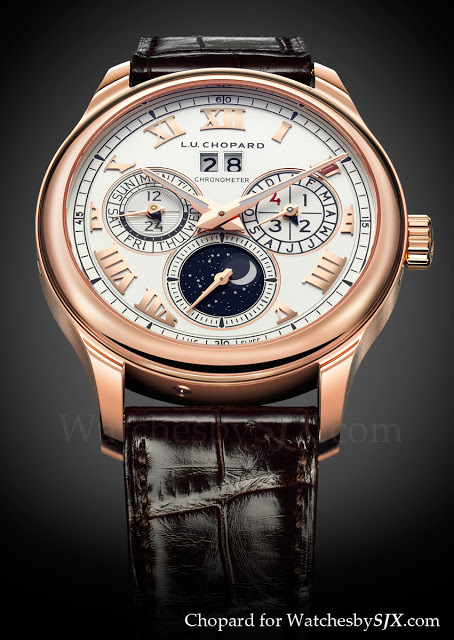 The first is the face-lifted Lunar One perpetual calendar in a largish 43 mm rose gold case, which like all Chopard cases is cast at Chopard’s own foundry. This is just one of the few LUC watches that have been redesigned since Guy Bove, IWC’s ex-chief designer took over at Chopard. 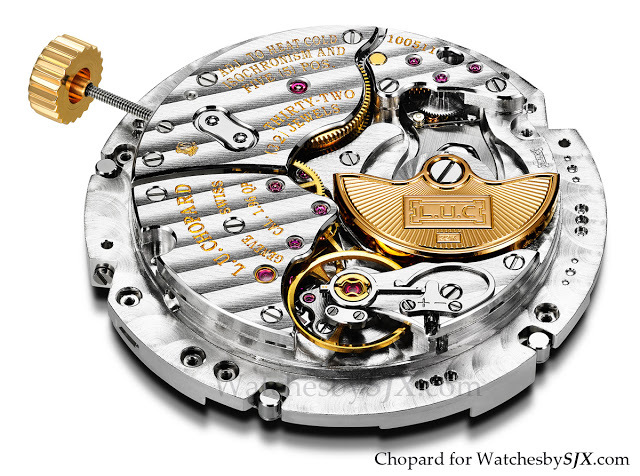 The new Lunar One is styled similarly to the LUC Triple Certification “3C” tourbillon, and unfortunately it suffers from the same problem – a superb movement presented in a less than compelling case. The other moon phase timepiece is the LUC Lunar Twin. 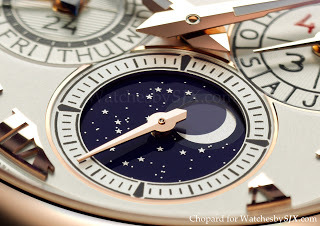 This only displays the date, as well as the moon phase. Again not my cup of tea (same hands), though the simplicity of the watch is appealing. 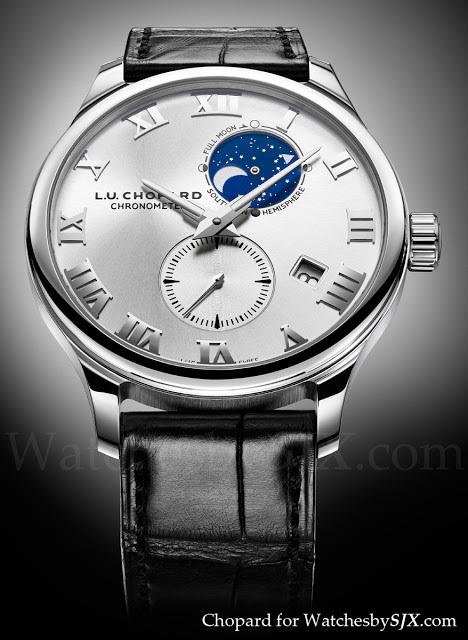 The Lunar Twin is in a 40 mm white gold case and equipped with the L.U.C cal. 96.21-L.